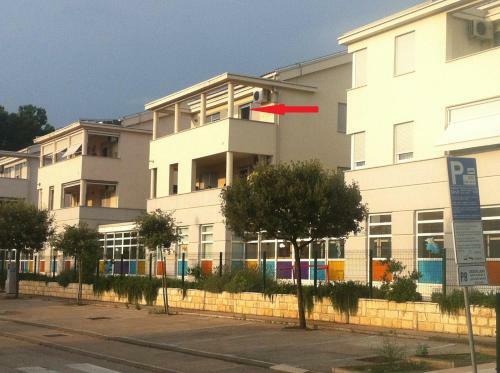 Just 250 metres from Vela Beach in Baška, Apartments Marija 2 presents self-catering accommodation featuring a furnished balcony and air conditioning. Each apartment provides a TV, seating area and a kitchenette. Featuring a shower, private toilet also comes with a hairdryer and free toiletries. At Apartments Marija 2 you will find a shared back yard and free-to-use grill amenities. Island Krk is linked to the mainland by a bridge, 45 kilometers away. 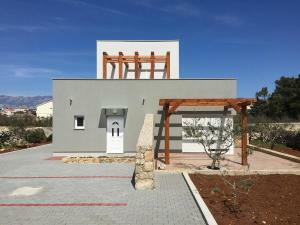 Vis a Vis apartments ~0,1 km, Baska price per day from € 300 Situated on Krk, in the newer part of Baska, Vis a Vis Apartments are only 300 metres from the beach. It presents free internet access and air-condition in all apartments. Vis a Vis Apartments provides flat-screen TVs and well-equipped kitchens with a dining area in all apartments. A back yard in front of the house presents grill amenities. The flight terminal of Krk is 50 km from the property. For visitors staying longer than 7 days, Vis a Vis Apartments provides an airport shuttle service on request. The town centre of Baska is 700 metres from Vis a Vis Apartments, eating places and shops can be reached within 250 metres. Car parking is free of charge at Vis a Vis Apartments. Jurandvor ( ~ 2.1 km ): 23+ accommodation units. 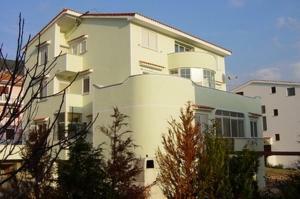 Draga Bascanska ( ~ 3.2 km ): 3+ apartments, 2+ villas. 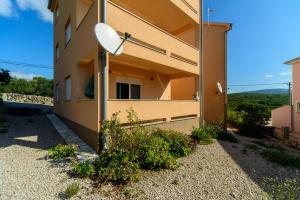 Baska Stara ( ~ 4.1 km ): 5+ apartments. Punat ( ~ 10.8 km ): 150+ apartments, 7+ villas, 2+ hotels. Vrbnik ( ~ 13.9 km ): 169+ accommodation units. Kornic ( ~ 14.2 km ): 47+ accommodation units. Beach Vela Plaza, Baska ~ 0,7 km from Apartments Marija 2 Sandy beach: ideal for families, recommended for young people, awarded with blue flag, with restaurant, with caffe bar, equipped with showers. Excellent choice of watersports. Beach Bunculuka, Baska ~ 2,6 km from Apartments Marija 2 Gravel beach: recommended for young people, with restaurant, with caffe bar. Nudism is allowed. Beach Stara Baska ~ 4,7 km from Apartments Marija 2 Gravel beach: ideal for families, recommended for young people. Excellent choice of watersports. Beach Vela Luka ~ 5,1 km from Apartments Marija 2 Sandy beach: with caffe bar. Beach Oprna ~ 6,4 km from Apartments Marija 2 Gravel beach. Restaurant Caffe Bar Plaza, Baska ~ 0,2 km from Apartments Marija 2 Address: Ulica Emila Geistlicha, 53, 51523, Baska. Cuisine: Bar. Restaurant Mare, Baska Guest reviews: 8/10 ~ 0,8 km from Apartments Marija 2 Address: E. Geistlicha 3, Baska. Cuisine: Mediterranean cuisine, Croatian cuisine. Restaurant Bistro Kvarner, Baska ~ 0,8 km from Apartments Marija 2 Address: Emila Geisliha 42, 51523, Baska. Restaurant Boneta Bistro & Lounge, Baska ~ 0,8 km from Apartments Marija 2 Address: Emila Geistlicha 39, Baska. Cuisine: Seafood. Restaurant Bistrot Baska, Baska ~ 0,8 km from Apartments Marija 2 Address: Ulica Emil Geistlicha 2, Baska. Cuisine: Seafood, Croatian cuisine.